Marilyn Monroe's favorite was Miss Milton's Lovely Fudge Pie, and she'd eat it wearing nothing but Chanel No. 5 and a raincoat. Andy Warhol always savored the Lemon Icebox Pie, stealing bites while he watched and sketched other diners through cutout holes in a newspaper he held upsidedown in front of his face. Jacqueline Kennedy Onassis came for the frozen hot chocolate and brought JohnJohn and Caroline, who now brings her children. Where did all these luminaries and many more devour these sinful treats? At Serendipity 3, New York's legendary dessert restaurant and boutique. The restaurant's history is as rich as its desserts, and this book, commemorating its fiftieth anniversary, lets you indulge in both. Founded in 1953, before the concept of theme restaurants even existed, Serendipity was one of the first restaurants in the country to turn dining into a theatrical experience, to create an ambiance as fun as the food that was served. Located near Bloomingdale's in one of New York's toniest East Side neighborhoods, Serendipity fills two floors of a historic townhouse. Decked out with original Tiffany lamps, black-and-white floors, fabulous Victorian oversized posters, and idiosyncratic adornments such as a huge clock and metal horse, the restaurant takes you down the rabbit hole into a fairytale world. 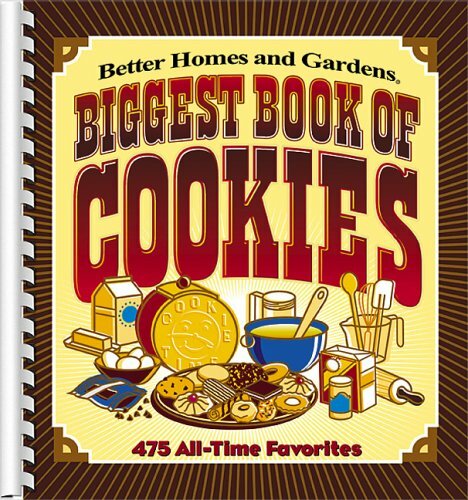 The desserts, represented by seventy-five recipes in this book, make everyone feel like a kid again. Many evoke the comfort of grandmother's kitchen, but many also have a creative, irreverent kick to them. Since many are based on heirloom recipes from one of the founders' families, all the recipes are easily achieved at home and can make fun projects for the whole family. Sugar decorations are made to be removed and before the cake is served the heavy decorations are boxed to keep as souvenirs or cut away -- however, children always love to eat those pieces and wait impatiently for a tidbit. Debbie has a magical talent with a set of enchanted fingers. She creates her own whimsical characters in all sorts of amazing settings. Those that like to do novelty cakes should gather her books one by one, starting at the beginning and moving from one level to the next with each successive purchase. Rolled fondant needs to have added flavouring; just imagine buttercream with no vanilla! Excess rolled fondant trimmings can be rolled in tiny balls, dipped in chocolate then rolled in crushed nuts -- kids love it, adults too! I always watch for Debbie's new publications as I admire her talent so. She also comes to the United States from time to time, for those who need help getting started with novelty work taking her class would be a wonderful investment. Debbie Brown is a true artist. 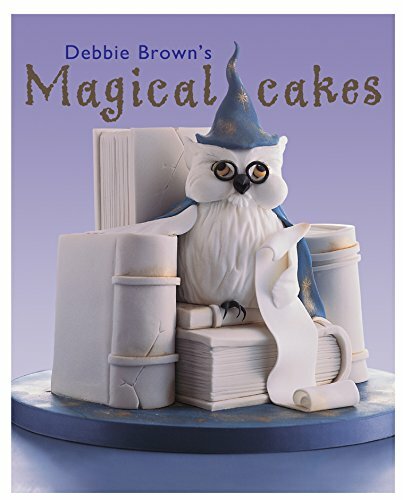 While this is a book for the more serious baker, even if you don't try your hand at the cakes, you can feast your eyes on her breathtaking works. These cakes are truly enchanting in a very"cute" sort of way.The sugarpaste to cake ratio must be 20 to 1.I just can't imagine trying to eat it,I want smooth creamy icing.Try The Whimsical Bakehouse for beautiful,edible cakes. 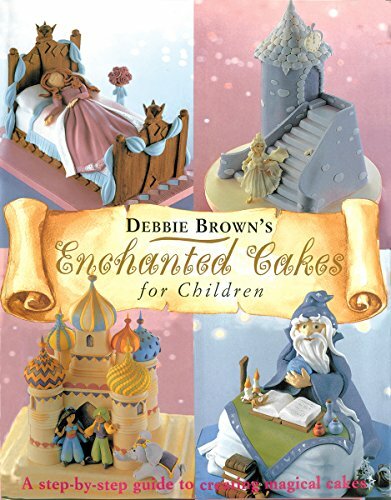 Yes,these cakes are "enchanting",but the ratio of sugarpaste to actual cake must be about 20 to 1.The time it must take to complete one of these,assuming you are NOT a professional decorator,must be incredible.May I recommend The Whimsical Bakehouse,fun and completely delicious. Some beautiful cakes, some very bizarre. 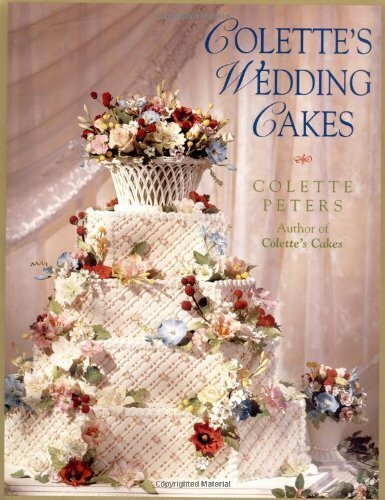 Colette Peters is one of the country's most famous wedding cake designers and some of the cakes in this book show why. some of them are just plain silly!! As a cake designer myself, I use this book to show clients the range of cakes that are possible for them to have at their own wedding. Of course many of the cakes are too outlandish for a real bride to consider but the majority are beautifully designed, well photographed and explained step by step for an accurate reproduction. the recipes in the book are wonderful as well. The cakes in this book are beautiful, but are meant to be created by professionals. There are too many non-edible items that need to be removed from the cake before serving. Impractical. I really enjoy this book, I've read it not only once but I read it all the time - I continually go to it for inspiration. There is such detail in helping you do the beautiful artwork for your cakes, with practice, you really can do it. Yes, I agree with some of the other reviews that these cakes are very extravagant, but the detail given on how to do them is superb! 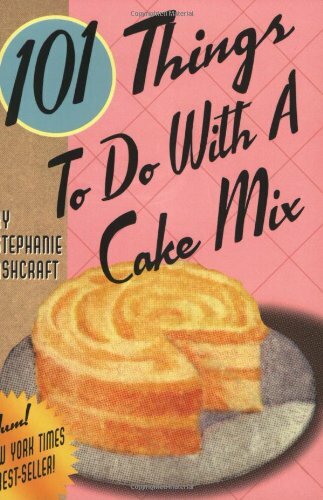 This book is a great inspiration to me in helping set my goal of what kind of cake decorator I want to become. I look forward to seeing more books like this and all her masterpieces. If you've ever heard Collette Peters speak or seen her interviewed, you know that each and every piece of cake art was done from her heart and that she loves doing it! This is not a great book, but it is still very good. Only about a third of the cakes featured were excellent-the rest were mediocre for my taste. As another reviewer stated, the directions are generous and well-written for the most part. This is a good purchase for the person who collects cake books but if you are in need of a good all-purpose cake decorating book-this would not be it. 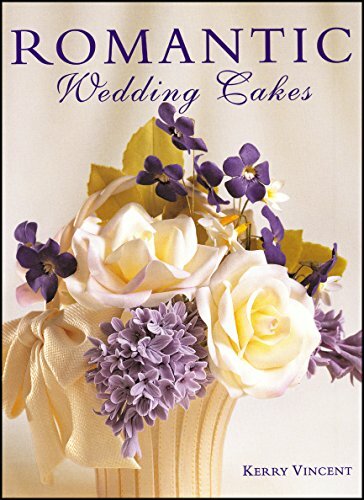 If you want to know how to make wedding cakes, all you'll find in this book are just a few basic recipes. There are no detailed step-by-step instructions for assembling or decorating cakes. This is my favorite dessert cookbook. I've never been disappointed by a recipe (that's quite a feat), and her instructions are remarkably accurate and clear: it always turns out just like she says. I especially recommend the Citrus Cake (if you have three hours to make it!) or the Chocolate Mousse Cake. Passion for Desserts is a great new cookbook for dessert lovers. The receipts are a refreshing change from the same old receipts you see in most dessert cookbooks. I really like the way it is laid out by season. It is a quick way to find desserts that match ingredients available for the season we are in and the menus I plan for those seasons. I have to say there are a few receipts that would be great in any season. I am an average cook (not all the creative) and a busy mom working outside the home. I like to entertain occasionally and when I do to prepare home cooked meals and desserts. I prefer receipts that are easy to follow and turn out like the descriptions and pictures. I also prefer things that don't take a half a day to put together as I don't have that kind of time. I would say the receipts in this book are easy to prepare and are not to time consuming. The results are always impressive and delicious. I HIGHLY RECOMMED A PASSION FOR DESSERTS EVEN FOR THE AMATURE COOK SUCH AS ME!! If I could only own one cookbook for desserts, this would be the one. Ms Luchetti has provided simple, easy and delicious recipies. I made two desserts (Apple Caramel Bread Pudding and Black Forest Brownies) in just the last week, both to rave reviews. This is my first introduction to Emily's cookbooks. I am trying desperately to find the first two. We love this book! The recipes are easy to follow and they taste delicious. We have impressed our friends at weekly church meetings with our newly found, amazing, baking abilities. We have turned them all on to this cookbook. The recipes are much more interesting than your typical everyday desserts and easy to make. Some of our favorites are berry creme fraiche cake and pumpkin upside-down cake. The last thing we thought we needed was another cookbook but we couldn't pass this one up because we loved the beautiful pictures. Now it's our favorite dessert cookbook and we pull it off the shelf first. Prepare to be amazed. Prepare to gawk and stare. Prepare to savor cakes beyond your wildest imagination. Who knew cakes could be like this? Who knew cakes could transcend the palate and fill the eyes as well? Kerry Vincent will surprise and astonish you in her book "Romantic Wedding Cakes." Vincent is an accomplished sugar designer and cake stylist. She is the co-founder of the Oklahoma State Sugar Art Show. This book is for cake enthusiasts, and brides looking for a couture cake design. From the baroque tiara cake, to the innovative shoes made entirely out of sugar, Vincent will earn her title as cake stylist. Each of these cakes is entirely unique; the styles have not been copied or borrowed from other sources. The originality and sparkle of the designs will strike you from the very first page. "Romantic Wedding Cakes" also features designs primarily done in fondant. Vincent succeeds in awing the reader of "Romantic Wedding Cakes" with her haute couture wedding cake designs. This is the ideal book for brides who are seeking an original and show-stopping wedding cake. It is also a source of inspiration for cake decorators and cake stylists looking for something new. It is a book that will spark the imagination, and engage the visual senses. Kerry Vincent has succeeded in creating a stunning book of wedding cakes. I am writing this review from the very unique perspective of having had a small part in this book's production. Being a friend of Kerry's, I saw many of the cakes in the book during their production and I know the amount of work and thought that went into each project. Even having seen some of the edited text before publication as the book progressed, I was still amazed at the quality of the final copy. The pictures are extremely clear and detailed and the instructions are complete and concise. It is a very usable book for the decorator to increase their upscale business and for the prospective bride to fine a truly unique cake design. I have quite an extensive collection of wedding cake books and have seen none with the attention to detail that this book has. It is a definite "must" for any wedding cake designer's library. I was so proud when Kerry asked me to be her guest and I am thrilled to be a part of this international commission. This book tries too hard to come up with new ideas. Some of the cakes in this book have so much stuff on them that they dont even look like food. There are a few new and interesting techniques, but over all I think they are all over done. I'll never buy new again! I loved the book. Fast delivery. Kerry Vincent opens my eyes on design possibilities of wedding cakes, and how fine a work could be. To all wedding cake decorating lovers, this is a must have! The useful step by step illustrations and full colour diagrams give a clear instruction of how skills and techniques could be performed. Recipes, method of setting up a wedding cake even cake table arrangement is included. Dorie Greenspan's most vivid memory of her first trip to Paris doesn't have anything to do with the Eiffel Tower, but rather a heavenly strawberry tartlet. Overwhelmed by its extraordinary flavor, texture, and appearance, Greenspan was "hooked on Paris and hooked on the city's sweets." Paris Sweets is the result of 30 years of searching for the most delectable, delicious, awe-inspiring pastries she could find, and then convincing their creators to part with the recipes. Scattered throughout this delightful book are whimsical illustrations and beautifully written stories about each of Greenspan's favorite pastry shops and the chefs who created them. Some of their recipes, such as Boulangerie Poilane's sweet, buttery, bite-size cookies called Punishments, are quick and easy enough for even a novice baker. And with Greenspan's clear, step-by-step, detailed instructions, Robert Linxe's Grandmother's Creamy Chocolate Cake, an elegant fudgy decadence, and Poujauran's rich, nutty-flavored Financiers, become child's play. Greenspan manages to demystify even the complicated multilayered Opera Cake from Dalloyau. 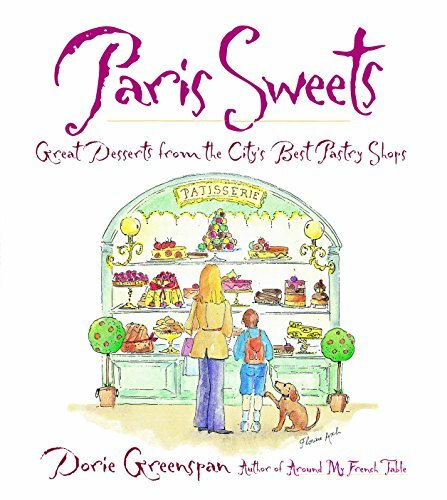 I've read through Paris Sweets and plan to bake my way through it too :-) Dorie Greenspan has a love for her subject and a way with prose that will make you wish you could tour the pastry shops of Paris at her side. I've made the almond cake (aka Montmartre Square; yummy) and the Strawberry Marshmallows (if you try anything in here, try those) and am in love. The Fresh Strawberry and Marshmallow Tart is next on my list, and until then the anecdotes and adorable illustrations keep me glued. Thanks, Dorie! Contemplating recipes in this new book from Dorie Greenspan, subtitled 'Great Desserts from the City's Best Pastry Shops' is much like shopping for antiques in that furniture whose style and construction have survived either decades or centuries of wear and changes in taste is almost invariably of a higher quality than last month's great new thing. You don't even have the disadvantage of having to pay a premium price, as Ms. Greenspan's book list price is lower than many books containing mostly new recipes original with the author and her support team. Ms. Greenspan is not only reporting recipes from what she believes are the greatest patisseries in Paris, she is telling us from which shops these recipes come, and where these shops are located. Happily, some of these shops even have satellites in New York City. Yum. All of these recipes are classics. The Madeleine cookie is so important and so well known that Ms. Greenspan gives us three recipes from three different shops. Apparently, there are so many different recipes for Madeleines, she could have assembled a book from them alone. Cookies are the subject of the first chapter. Following chapters cover cakes, tarts, 'pastries and small treats', and 'grand gateaux'. The 'pastries and small treats' chapter includes such standards as Crème Brulee, Chocolate Mousse, Chocolate Bread Pudding, Ali-Babas (similar to baba au rhum), Tiger Tea Cakes, Soft Apple Cakes, Whipped Cream-Filled Meringues, Coffee Eclairs, Strawberry and Orange Flower Water Marshmallows, and Hot Chocolate. The 'grand gateaux' chapter includes pastries such as Bacchus (raisin filled cake plus ganache and glaze), Opera Cake, Chocolate-Thyme Cake, Chocolate Temptation (ooh la la dessert), Blanc-manger (a very, very old French version of panna cotta), King's Cake (traditional after Christmas), Mille-Feuille (Napoleon), and Gate Saint-Honore. Decedent doesn't even begin to these homages to butter, cream, sugar, and eggs. The final chapter of 'Base Recipes' contains just a few important pantry staples. Even though they look very familiar and are probably in the repertoire of every experienced pastry chef, they deserve a look, as they may be a bit different than what you are used to. The recipe for pate sucree, for example, includes almonds and vanilla, things which are not commonly in American sweet tart dough recipes. The recipes in this book are the main attraction, but they are not the only charm. There are lots of headnotes, asides, and sidebars on the recipes, the shops and their bakers who contributed the recipes, and the French take on classic ingredients such as butter, salt, vanilla, water, and eggs. A take on fleur de sel worth repeating is Dori's comparing it to extra virgin olive oil, the most desirable first yield from the olive oil harvest. The stories on the shops make me wish I was more in tune with French pastry when I was in Paris many, many years ago. Even the addresses of shops on streets such as the Boulevard Haussman and the place de la Madeleine bring back fond memories of time spent in Paris. The final charm offered by the book is the collection of watercolors done by Florine Asch which decorate the text, the end pages, and the cover. I am not at all surprised that the description of the recipes is quite clear and should be not at all difficult for an American amateur baker. Although all European professional bakers measure everything strictly by metric weight, the author has converted everything to the teaspoons and cups and English weight units. Many recipes make sensible use of a food processor for mixing dough. In spite of this all, do not be surprised that many recipes are two or more pages long. The result is more than worth the effort. Each recipe concludes with a supremely considerate note on how to best keep each result and for how long. Each recipe also includes a paragraph labelled 'An American in Paris' on variations and options for serving. Ms. Greenspan's credentials for writing this book are impeccible. This is her eighth book on pastry. Her previous books have included collaborations with Pierre Herme, Daniel Boulud, and the great Julia Child. It is quite appropriate that the book was suggested by the author of 'The Paris Cookbook', Ms. Patricia Wells. Much credit to Ms. Wells for instigating this very happy result. Highly recommended for both recipes and warm evocation of a sweet aspect of Paris. If you cannot go to Paris, then buy this book and bring some of Paris to you. Greenspan (Baking with Julia) has done it again - another book that deciphers and presents some complicated recipes into approachable masterpieces. The recipes work (at least the ones I've tried), and I have foisted them on some of my French friends, some of whom immediately identified it and the shop the recipe came from (Earl Grey Madeleines, from Mariage Frères, for example). That constitutes success. The book is organized cleverly, with the simpler recipes in the front, and more and more complex recipes as you work your way through. Though Greenspan does not say she is doing this by design, it is clearly the case. After each recipe, she has some tips and suggestions she calls "An American in Paris," in which she tells you things she does to make the recipe more in her own style, as an American living in Paris. This is not a primer on French pastry, however, and you will learn little about technique; although there are many classic desserts in this book, it is not comprehensive, by any means. But that does not lessen its value. I love France, their cutlure, and their food. This book gives little stories about how and where the foods originated from and I absolutely love the book. The recipes are easy to follow and everything French comes out perfect. If you love French food, culture, and France in general, and if you like sweets, you'll love this cookbook!!! I bought this book as a stocking stuffer for a young friend who is a novice cook. I have the "Cake Mix Doctor" and use it frequently for a quick, easy, and very good looking product. Wish I could say that "101" was the same. Directions are unclear or missing. It is easy to prop on the counter, most ingredients are easily obtainable, but spend the extra few bucks and get the "Cake Mix Doctor" for its completeness and a lot more recipes. My friend calls me frequently for help and rescue. If you can have one fix it easy and fast book, do not make it this one. Stephanie Ashcraft's mother taught her "that anything could be made with a cake mix." It does seem to be true. This tiny, easy-to-read cookbook has recipes for everything from Chocolate Chip Cookies to Peppermint Cake. Stephanie teaches a cooking class entitled "101 Things to Do with a cake Mix" for Macey's Little Cooking Theatre in Provo and Orem, Utah. There are a few helpful hints on page 9 that teach you a few tricks about baking cakes, making chewier cookies and keeping fruit fresh. I've never used glass or stoneware baking dishes for cakes, so that is a new idea for me. I've been buying my cake pans from "Jane's Cakes & Chocolates." The results were rather stunning when I used the pans she sells. It was quite by accident that I tried the recipe on "page 101" and took the cake to our Thanksgiving party. The recipe was for Pistachio Pound Cake and it turned out to be "Moist, chocolaty, pistachio, dream cake." My relatives were impressed. It is not every day that I try a new recipe and then bravely take the cake to a party, but this book looked like a winner. The ingredients are little more than a white cake mix and pistachio instant pudding. In fact, I made this so fast, I thought for sure I'd missed a few steps. Well, there are really only three steps and 8 ingredients. It is the easiest cake I've ever made and the instant pudding and chocolate syrup take vanilla cake to new heights. Already my husband has asked me to make this cake again and I'm planning on making it and shipping it to friends and relatives. While the cake is a pound cake, there is no reason why you can't make a orange cream icing by mixing two cups of confectioners' sugar with a little orange juice and cream until it is a smooth consistency. Then, pour over the top of the cake. A few sprinkles of orange zest and off to the party you go. I think this cake will ship very well and plan to try to ship it out to my homemade-cake-deprived friends. No, I'm not telling them this is made from a box mix! All I have left to say is, you will get requests for the cakes in this book. I look forward to trying more of the recipes as soon as I can get to the store to buy more cake mixes and instant puddings. P.S. LOVE the binding on this book as it allows the pages to lay flat. This should be a "must" for all cookbooks. I was so glad to get this cookbook! These are dishes that MY KIDS WILL EAT! I was so tired of slow cooker dishes that called for DUCK FLAMBE and wine sauce, that my HUSBAND won't eat.. He loves these recipies and he can even MAKE them! A++++++++ I gave one to my father, and HE loves it! I just loved this book. So often we get cook books that say easy as 1 2 3 and they end up being as hard as 98 99 100!! One of the best things about the book is most of the ingredients you will have in you cabinets, no running around to speciality shops to find items you never heard of. I get more compliments when I make one of the cakes, I have more people ask me for the recipe, and when I bring a cake to a party there is never any left over. I would rather cook than bake but with this book I am baking more. I cant't say enough about it, just buy it and you will be the hit of the party. Tapas are more than savory appetizers. "They represent a style of eating and way of life," says Penelope Casas, whose Tapas: the Little Dishes of Spain presents more than 300 recipes for the mouth-watering morsels. "So very Spanish, yet adaptable to America," she says, "they cross the line into what we think of as first course or main course dishes." In chapters such as Tapas in Sauce; Marinades, Pat&eacute;s, Salads, and Other Cold Tapas; and Tapas with Bread or Pastry, Casas provides a definitive selection of the traditional Spanish bar food--dishes to pass out at a gathering, to serve on a buffet, or to make a party of. Readers wishing an introduction to this versatile food, and the culinary culture in which it thrives, will want this bestsellingbook. A wonderful introduction to Spain's colorful and exciting "little dishes," this attractive cookbook provides the reader with an extensive range of tapas from many regions. The dishes described are as versatile as they are delicious, and although some are rather time-consuming, most are not complicated. A glossary of ingredients, shopping information, hints on techniques and utensils, tips for throwing your own tapas party, and carefully planned menus for a variety of occasions make this a very useful guide. Also recommended: If you love tapas you will love mazzas, the "little dishes" of the eastern Mediterranean, a stunning selection of which is included in Sonia Uvezian's latest and greatest cookbook, "Recipes and Remembrances from an Eastern Mediterranean Kitchen." This extraordinary volume should be added to every food lover's "must" list! A book I would grab if my house was on fire! Making and eating tapas is high art in Spain. The simple American 'appetizer' pales in comparison. I love the whole notion of hundreds of different delicious little morsels to be savored by friends with some sherry or why not even a glass of alberino... Such a wonderfully stimulating way to eat! 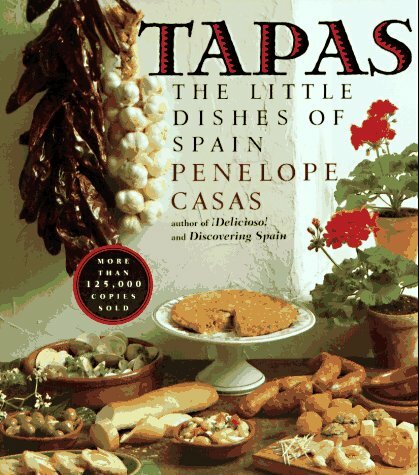 -- Whether or not you have ever had tapas, you are certain to find several recipes to love in this mighty little volume. There are items to suit any occasion and number of guests, some can be served cold, some can be made ahead, and Penny Casas provides outlines of sample tapas party menus to follow if you find yourself too overcome with delight to be able to choose. This book is the most authentic I've found and I will certainly buy future books by this author. If I had to weed down my cookbook library to just 5 books this would be one of them. I have been visiting, living, working & eating in Spain for some 40 years and whenever I read this book it takes me back to tapas that I have eaten & the bars I have visited. The recipes are 100% authentic and mostly easy to make - the anecdotes about the sources of the recipes fascinating. Takes me back to my time in Spain! I received this as a present - it has a wide range of tapas recipes with some photos. I must admit I am yet to make any, but have spent some time trolling the bars of Spain, and they all seem authentic. I have her Paella cookbook, though, which I do cook from, and those make excellent meals. The reason this work did not recieve five stars was the lack of detail in giving quanities in a few recipes. I refer to the recipe on page 11 for the first example. Shrimp and Mushrooms in Almond sauce. It calls for 2 slices of onions ..does not give the type..could be white red or yellow...does not give the size of the onion or the width of the slices. On the plus side there are many wonderful recipes and menus. Star Wars Cookbook was the best cookbook in the world. It hand strange recipes like Tusken Raider Taters and Twin Sun Toasties, but also fancy food like Han-Burgers, Greedo`s Burritos, Princess Leia Danish Dos, Jedi Juice Pops and the king recipe, Wookiee Cookiees. I got this cookbook before Wookiee Cookiees in Christmas 2003. It was quite nice'. It featured funny names like Sith Speeder Sunrise, Handmaiden Hash Browns and Boss Nass Broccoli. The photos are amusing as in Wookiee Cookiees: Watto over few Watto Melon Cubes and Gungans fighting from Booma Breakfast Tarts. The pages are wipe clean, so Amidala Challah does not damage on it. I love Sith Slush, so I had to make it on summer with my father. Good, but Star Wars Cookbook 1 was better. Another must buy for the true Star Wars fan. This book is the following volume to the Star Wars Cookbook: Wookie Cookies and Other Galactic Recipes and like its predecessor it has the same beautifully illustrated, spiral-bound, hardcover format. It is another must buy for serious Star Wars fans that want to keep adding delicious Star Wars themed recipes to their lives and want to have fun while preparing their meals. The book is divided into five sections for easy reference: Breakfasts, Snacks and Sides, Main Courses, Desserts and Treats, and Drinks. Each Star Wars themed recipe is fully and clearly explained (ingredient measurements and preparation instructions) for easy understanding. The book's introduction contains practical advice on cooking safety and includes a guide of the cooking tools you'll need. As an added bonus, the pages of the book are laminated for easy, stain-free cleaning. 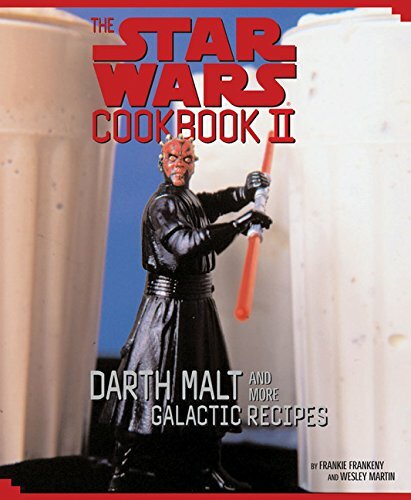 You will love all the recipes, and will probably recreate, the wonderfully photographed serving suggestions given in the book like the Booma Breakfast Tarts, the Pit Droid Pizza, and the Qui-Gon Jinn-ger Snaps which are decorated with the action figures of known characters of the Star Wars Episode I movie. Other recipes' presentations feature enjoyable visual puns like the Boss Nass Broccoli, the Protocol Droid Pasta and the Darth Maul Dip (which even includes a plastic template for decoration). Some are even very basic, but really tasty, recipes that have been given clever Star Wars-sounding names like Darth Malt, Panakacakes and Pickle Jar Jar. I would also recommend buying the Star Wars Cookbook and The Star Wars Party Book along with this one as they all make a complete, excellent and fun idea source book for everyday cooking and Star Wars themed parties. Makes me hungry reading it! Great addition to your cookbook collection and Star Wars collection, but if you're like me your collection is big enough already! Book contains a variety of delicious looking recipes from "a galaxy far, far away". Whether it's Boonta Classic Waffles for Breakfast to start your day, Pit Droid Pizza for a party with friends, or Panakacakes for a sweet evening treat for your loved one, you will have great fun cooking away with this book. Even if you are not too experienced a chef, you will have to give it your Jedi best, but try not - DO or DO NOT...there is no try! The creation of superlative desserts and p&acirc;tisserie is the greatest passion in Michel Roux's life. 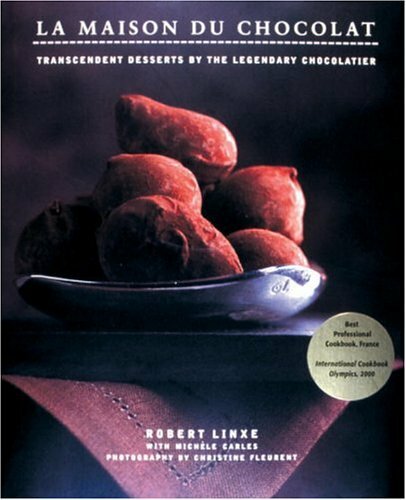 This book is the culmination of his 35-year career, a personal selection of 150 of his favorite desserts, ranging from the simplest mixed fruit recipes such as Red Berries and Candied Orange Beads to impressive dishes for special occasions such as Marbled Peppermint and Chocolate Souffl&eacute;s, are perfected versions of classics; others, like Love Nests with Redcurrant Pearls, are completely original creations. All are regular features on the menu at The Waterside Inn, Michel Roux's Michelin three-starred restaurant at Bray in Berkshire. In this book, Michel Roux displays his matchless skill in the art of making desserts and discloses to the reader professional secrets which will ensure perfect results. After an invaluable introduction detailing essential equipment and ingredients, the book begins with a section on basic recipes including pastry, meringue, and sponge bases, which provide the foundation for flawless masterpieces. Every recipe is laid out in the most accessible and easy-to-follow way, giving full details of ingredients, special equipment, and a comprehensive description of the method of preparation. In addition, many of the recipes can be made in advance, as Michel Roux explains; storage and freezing times are also given. Martin Brigdale has photographed over 60 of the dishes in color, including close-ups of intermediate stages of preparation, and several important techniques are show in step-by-step detail. This superb selection will become the ultimate collection of desserts for the home cook, as well as an essential reference book for all aspiring chefs. My favourite dessert book ever! This book has been my dessert bible for a few years now. I have even bought a second copy as my first had become rather battle weary. The clear instruction enables a reasonable cook to produce desserts that will stun guests, not only in presentation, but in taste also. I have yet to attempt a recipe that was not delicious or turn out succesfully. A wonderfull professional cooking book for cooking fans. This book went beyond my expectations by presenting the history of chocolate in an unbiased, academic yet readable format. A far cry from high school history textbooks, the authors enchant the reader with stories and historical tid-bits while maintaining a cohesive whole. I definitely recommend this book to chocolate connoisseurs, history-buffs, and chocoholics alike. 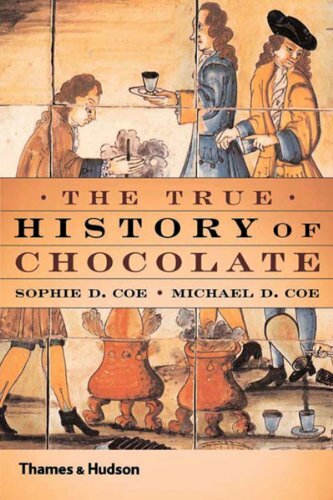 Sophie and Michael Coe have written a emminently readable history of chocolate. They emphasize the origins of cacoa in the New World, and the Spanish conquerors' response to their "discovery" of cacoa. The story fascinates, and I liked how the authors presented all the options when historical records were scarce or contradictory. The text is interspersed with clarifying illustrations, some are in color. The 19th and 20th centuries are covered in brief. The book ends with the resurgence in deluxe chocolates that use the rarer yet better tasting cacoa beans, and explains why these chocolates are so much better tasting than the supermarket candy bar. All in all, an excellent read. When reading another book called: "Food: A Culinary History," we find information on Chocolate telling of how chocolate was "discovered." They basically explain how the Spanish discover chocolate when they colonized the New World and explain how the Aztecs had used chocolate in their rituals. Do ungerminated beans have the same flavor as germinated beans? The story of chocolate is extremely detailed. This book traces the discovery of chocolate from it's earliest pre-Columbian roots to modern times. The way we serve chocolate today almost seems primitive when you read how many ways the Aztecs made their chocolate drinks. It is amazing how this book came together as it has, because Sophie D. Coe was diagnosed with cancer before the book was completed. Her husband, Michael D. Coe, took on the responsibility of literally thousands of pages of notes and finished a book she started. The authors spent hundreds of hours tracing down all possible references to chocolate in Libraries in America and Europe. They also searched in 400-year-old books in the Biblioteca Angelica in Rome. The story of Chocolate is amazing. Just the way it is made is a process that was kept secret for many years. Seed pods, growing on the trunk and main branches are harvested and opened with sharp blades to reveal creamy white cacao beans which darken, then ferment under banana leaves for up to nine days as they lay in the sun. After a 250* to 350* hour-long roasting process, the beans are dehulled leaving small pieces called nibs. Cocoa powder results from ground roasted beans which have the cocoa butter removed. After the cocoa butter is extracted, dry cakes of cocoa are ground and sifted to make fine cocoa powder. Most cocoa powder is naturally 97.75% caffeine-free. A 1/2 tablespoon cocoa powder contains about .0002 ounces of caffeine. There is 10 times as much caffeine in a 6-ounce cup of coffee. The Dutch chemist Coenraad Van Houten added alkali to neutralize the acidity of chocolate and mellow the flavor. This is how the darker Dutch-process cocoa was created. Black cocoa is slightly more bitter and is the darkest cocoa powder available. It is best combined with a Dutch-process cocoa powder. When manufacturers make chocolate bars, the roasted beans are crushed with sugar and vanilla to make chocolate liquor. The chocolate liquor is refined to evaporate excess moisture and acidity, then it is ground so fine that the mouth no longer perceives the beans as individual particles. After heating and cooling, chocolate is poured into molds, cooled and wrapped to be sold as bittersweet, semisweet or unsweetened chocolate bars, depending on sugar content or lack of it. This book takes you on a "chocolate" journey. This is a book about the history of chocolate and does contain some rather interesting "chocolate drink formulas." I guess one of my only objections might include places where the authors called a ritual "spectacular" instead of "detailed/extravagant." It made it seem that they were defending the Aztec's brutal way of life although I'm sure they were not. They just tried to look at the reality of the situation and probably found the rituals rather out of the ordinary. The reason for the rituals seems based on "fear that the world would end." There also did seem to be some rather morbid uses for chocolate in the past. There is also a passage that says something about a "baseless" claim for chocolate having aphrodisiac properties. We do know that it contains substances, which do produce an "in love" feeling. What really had my attention was the topic of Crillo beans vs. "Forastero" beans. The Crillo tree produces the best quality beans, while the Forastero produces a more bitter bean. Valrhona Manjari is made exclusively with rare Indian Ocean Crillo beans. This gives the chocolate a winey, bittersweet flavor and incredible aroma. If you have yet to taste this or use it in cooking, look for it online or by looking for the N.Y. Cake and Baking Distributor catalog or Formaggio Kitchen catalog. Many chefs swear by this chocolate and I can tell you it is the best I've found besides a chocolate I love called "Peter's Chocolate from Nestle." Nestle chocolate is my ultimate favorite. Especially the milk chocolate. The use of cocoa butter in place of all those other palm oils is rather refreshing. Being one can be highly allergic to palm oils and cottonseed oils and the like. The difference between the bars is that you can eat Peter's Chocolate straight off the bars, but the Valrhona Manjari bars are a bit bitter on their own. When you mix in a little cream and sugar, it becomes magic. Valrhona chocolate is of course considered to be one of the finest chocolates in the world. I myself won't use anything but Valrhona Manjari in my Chocolate Ice Cream and Mocha Freeze. I also discovered Valrhona Caraque for use in Truffles. The authors also include the meaning for "Manjari" which is "Sanskrit for "bouquet." If you are hungry for information about chocolate, this is the best book I've read so far. It is intensely detailed and does seem to have been written because of a love for chocolate! Have a few cups while you read. Just don't forget the whipped cream and nutmeg! I haven't yet tried a "spicy" version. This book may be the only way to indulge in chocolate without gaining weight. The "True History of Chocolate" is fascinating in relating the Mayan and Inca cacao rituals - chocolate was an all-purpose sauce, drink, drug, what-have-you, as the recent film "Chocolat" attests. There are wonderful stories of chocolate's introduction to aristocratic Europe, as immortalized by Dicken's account of the Marquis' chocolate drinking in "A Tale of Two Cities." As today, doctors of the day were divided on chocolate's merits, wildly debating whether chocolate generated a phlegmatic or choleric humor. Only very recently was chocolate sweetened, and only later yet was it reduced to solid form and packaged in factories. The Coes seem to suggest that something mysterious was forever lost when the vulgarians of Cadbury and Hershey started peddling cacao to the masses. My positive views about 'Grand Finales' may be considered suspect (I'm the husband of co-author Tish Boyle), but those of journalists and cooking professionals merit serious attention. 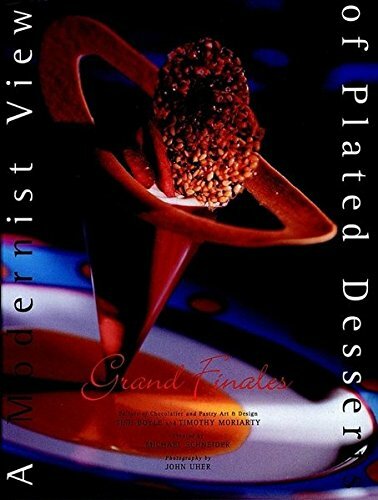 It's undeniable that 'Grand Finales' is unique among cookbooks: it's the first "to examine the predominant schools of pastry design," with pictures that "are worth a thousand design-concept theories," according to TIME OUT, New York City's premier publication devoted to the cutting edge. TIME OUT concludes that 'Grand Finales' "does a superb job of documenting the high-design phenomenon in making pastries." BEARD HOUSE Magazine observes that 'Grand Finales' has "assembled an impressive collection of recipes from the country's best pastry chefs...for this handsome volume about upscale restaurant desserts." The WASHINGTON POST praises the book's "75 fabulous creations," adding a mock-serious qualification that "some are downright silly, goofy, splendid in a crazed sort of way." Among cooking professionals, 'Grand Finales' also earned exceptional acclaim when it was selected as a finalist among 420 entries in the 1998 Julia Childs Cookbook Awards. This striking book is a must for the library of anyone with an interest in modern desserts. I received this book as a gift. What a treasure it has become - great recipes for all seasons, an excellent layout, beautiful illustrations, and simple instructions. It is now the first cookbook I go to! This is only the second recipe book I have bought, and I have found it to be excellent. I am not a very experienced cook, but California Fresh Harvest has recipes that even I can turn into pretty impressive dishes. I have cooked for two dinner parties out of this book, both of which were great successes. I highly recommend this book to both experienced and beginning cooks. Absolutely a phenomenonal cookbook! Just purchased on vacation in Cape May, New Jersey at Love the Cook. 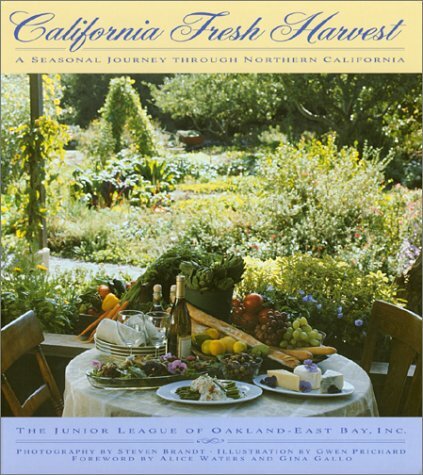 Gorgeous pictures, wonderful recipes......California at it's best! A real winner...a real find. I originally received this cookbook as a gift. I was so delighted with it, I subsequently ordered four additional copies to give as gifts. The recipients are still thanking me! First, the recipes are creative and delicious -- fully enhancing the flavors of bountiful, diverse, fresh ingredients found in the San Francisco Bay Area and Wine Country. (It's hard NOT to eat well in this region!) Second, the cookbook itself is uncommonly successful in evoking this spectacular setting with gorgeous photos, sidebars of interesting sidetrips, local restaurants and wineries, and mind-boggling facts regarding the abundance of local agriculture. Food preparation tips, background information on local food and wine festivals/events, and delicacies such as Meyer Lemons are also highlighted. While it's fun to simply browse through this beautiful cookbook, it's even better to sample the Junior League's trade-mark "home cooking with flair." Full menus are offered here. My personal favorites are the Baja Guacamole, Savory Polenta w/Asiago Cheese, Garlic-Roasted Chicken, Pork Tenderloin w/Apricot Ginger Sauce, and Cherries & Berries Compote w/Crispy Puffed Pancake. The Chocolate Caramel Shortbread Bars are worth the price of admission all by themselves! I'm not surprised this cookbook is winning national rave reviews and awards. They are very well deserved! It is so beautifully rendered, it puts most commercially-produced cookbooks to shame. A feast for the eyes as well as the palate, this collection from media favorite Toba Garrett is available again. Toba Garrett--master baker, critically lauded author, and recent guest on Emeril Live--has devised cookies so delectable and exquisitely decorated that home chefs will be searching for occasions to makemore. The simple recipes range from gingerbread to shortbread, from sugar cookies to chocolate. But what really makes these extra special are Garrett's clever techniques for turning the cookies into works of art that delight the eye as much as they please the palate. There are ruffled bibs in soft pastel hues for a baby shower, a white chocolate rose with eight petals, and a 3D bride and groom for wedding and anniversary celebrations. Anyone can create these effects with confidence thanks to the author's clarity and creativity. Toba Garrett has succeeded in creating a beautiful book, full of lovely cookies that is also practical in that she presents each component of the process separately and then ties them each together in simple, easy to follow directions.Recipes, decorating technique and specific designs are each presented in such a way that mastery is simple and the user can easily create his or her own designs using the lessons learned. An excellent book for the creative and curious home baker. this is the best book for simple and easy, yet elegant cookies that will impress anyone! recipes are flawless and instructions are great! One of my favorite and most used books! 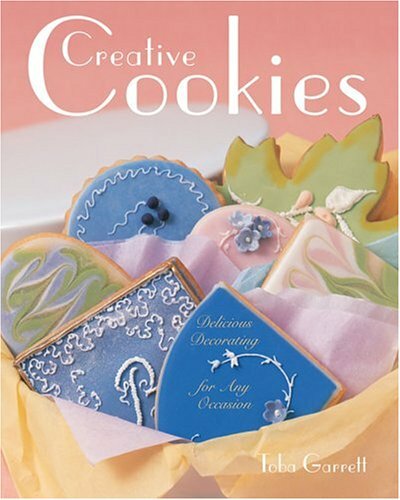 This book has very well laid out instructions and beautiful photos, which makes it very easy to follow.You can go through the sections one by one to learn different decorating techniques.And there are a lot of different ideas in the book, so you can enjoy creating new decorated cookies for a long time. One nice thing is that the book also tells you how well each dough and icing stores and how to store them, so you don't have to use an entire batch at once. I've found that it takes a little practice to get the consistency of the icing just right and to get a steady hand to outline and draw on cookies.And it takes a lot of setup time (e.g. making several colors and types of icing) to duplicate the cookies shown in the book.But overall, I think they can be duplicated pretty well even by an amateur. I ordered this book expecting fun creative ideas in decorating cookies with my children.I found that it is very creative, with tons of ideas but i just cant find the fun of making those cookies with my children.The pictures are beautiful, even if its too advance for me, I will keep it for future reference, (may be when my kids are older) :D.
Enhanced with more than one hundred mouth-watering color photographs; a comprehensive index and an separate index listing cooky recipes especially appropriate for the holidays; eighty tips for making homemade cookies better than any that can be bought in even the more upscale bakeries; and easy-to-follow methods for making, baking, and decorating cookies, bars, and brownies; the Better Homes & Gardens' Biggest Book Of Cookies is a spiral bound compendium of cookies that will make you hungry just to browse through! 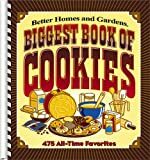 From Pecan Crispies; Spiced Apple Drops; Chocolate-Covered Cherry Cookies; and Peppermint Candy Cookies; to Scandinavian Almond Bars; Watermelon Cookies; Gingerbread Cookies; and Mascarpone Creams, every recipe comprising the Biggest Book Of Cookies will turn even the most novice kitchen cook into a world class cookie baking chef! 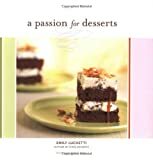 This book is a great book for people who are looking to make exotic tasting, good looking desserts and have a lot of time to spend as cooking them can be quite time consuming (One dessert usually calls for more than 1 recipe). The recipes usually yield very good and nice looking results (some are really really yummy! e.g. autumn meringue cake, chocolate banana tart). I agree with a couple of the previous reviewers, however, that somes of the recipes are probably somehow not well tested for cooking at home(too much butter and too little salt, e.g. Never try lemon cream. It is definitely like lemon butter!). Another downfall of the book (which I takes 1 point off for) is it is quite hard to follow. The cooking steps are explained in details but words are too much cramped together. If 1 step in here could be numbered such that it could be seperated into 4-5 steps, it would have been much easier to follow. The books have nice cooking techniques, glossary at the end and have really nice pictures. In conclusions, this cook book is not for a novice but it can definitely give you an inspiration! But be careful not to bring your desert to a party if you haven't made it before. The recipes that work, work really great but you don't want to feed your crowd with the ones that don't work well. 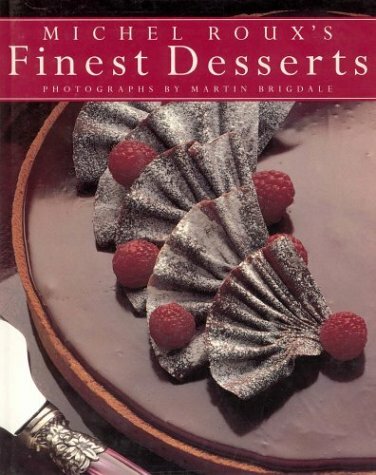 Book covers: basics (genoise, meringue, puff pastry, ladyfingers, tart dough, cinnamon dough, + some fillings), fruit desserts (includes chocolate creams, ice cream, lemon crepes, tuiles, cookies), tarts (includes lemon tart, apple galette, rice tart w/fruit, lots of stuff with pears, orange tarts) , cakes (includes easy ones like lemon loafs, chocolate cakes, then moving on to fancy ones), and some explanation of terms, techniques, equipment and ingredients. I own 8 baking books The pictures are really nice. The other thing that stands out about this book is the exotic nature of some of the recipes - a rice tart? Mascarpone/blueberry/ladyfinger cake? Herme uses a lot of exotic fruits such as passion fruit, figs, and currants (which are hard to get here in parts of the USA). In doing so, I think this book shows you a lot of things that other don't. I feel the level of the book is for somewhere slightly above beginner. There are some easy recipes in this book and some very time consuming ones as well so there is a big range there. Overall, the strengths of this book are the great photography, innovative recipes, and new ways that the reader will look at designing desserts. Even if you have a lot of baking books already, this one will help you see things in a new way. On the other hand, if it's the ONLY dessert book you own, I'm not sure it will help you see baking in a systematic orderly way as "Baking with Julia" is or one of the cake or pie/pastry bibles. At first I was skeptical of this book, since Hermé is worshipped by the French press as a demi-god. I am glad to say that this is a source of very good, but not great desserts. There are several things I like about this cookbook. All of the recipes were thoroughly tested, and I had no problem with the ones I tried, although some recipes required more than casual talent and there are no warnings about this in the recipes. Most of the recipes are assembly jobs. That is, the components are prepared at least a day before and assembled that day. The garnishes and plating are also completely described and recipes given for them; this way, there is no question of how to serve them. These are mostly professional restaurant desserts that have been successfully adapted to the American kitchen. So, these recipes are suitable for both restaurant and home. There is nothing here that is very difficult, but some are time consuming and have several preliminary steps. Hermé for the most part eschews decorative, architectural structures and focuses on the flavor of the dish. The chapter "Basic Recipes" contains components used by recipes in the other chapters. It is an interesting collection of recipes, some with curious wrinkles. Some of them, like pâte brisée, meringue or inside-out puff pastry, do not work as well as standard versions. Some, like crème anglaise or pastry cream, are actually better than standard ones because they list actual temperatures rather than a physical description as the end point, meaning that the less experienced will have a good chance of doing them properly. Some recipes, like Lemon Cream, are a lot of extra effort without any discernable improvement. In this chapter, standard French names in addition to the American ones used would have been nice, especially for those who have not had a lot of experience with French patisserie. The next two chapters, "Fruits, Creams, and Cookies" and "Tarts and Tartlets" are much more interesting. Hermé's use of fresh fruits is particularly impressive, particularly in simple fruit plates and tarts. The little tricks he uses are well worth learning and applying elsewhere, like burning off crème chiboust with a propane torch, adding freshly ground pepper to fresh fruits (I believe he is the one who invented this), or using chopped, drained oranges by itself as a tart filling. Some his tricks, however do not really help; draining or drying fruit produced a nice texture, but they lost their fresh fruit flavor. The last chapter on cakes was rather ordinary. In particular, I did not really like the flavor of the chocolate cakes. They have all sorts of other flavors added in, and they did not combine well with the chocolate. The combinations are trendy, and many of them are already out of date (book copyright is 1998). The last chapter is particularly useful: it has explanations of the procedures and equipment used throughout the book. My only complaint here is that marzipan and almond paste certainly are not the same thing, nor are they interchangeable. It is here, buried at the end of the section on measuring, that you discover how flour is measured for the recipes (they use dip and sweep). After reading all the other reviewers who either gushed over or maligned this book, I felt compelled to give yet another opinion which I hope will clarify the polarized opinions on this cookbook. First, if you are looking to find a cookbook on comfort food or "the-way-Mom-used-to-make-it-desert" for your next family gathering, DON'T GET THIS ONE. Also, if you're on a frugal budget or a time crunch, again, LOOK ELSWHERE. This is one of the GREATEST patisserie chefs in the world. And he gives us in his cookbook all the extravagance, style, taste and showmanship that title carries. The recipes are expensive, time consuming and sometimes tricky. They contain specialty ingredients and use specialty tools. Any substitutions based on economy or convenience will probably result in failure. On the other hand, if you long to create something really extraordinary and impressive and have the time and pocketbook to match don't hesitate to get this. Although some ingredients are special, they are not so hard to obtain. If you can read and write, you can cook from this. Both experienced and beginner cooks. I can't account for a previous reviewer who complained about confusing directions. All I can say about that is some people don't bother reading directions thoroughly, make a mess, and then blame the directions. I have baked time and again from this book, from the simple and delicious coconut pound cake to the spectacular and complex "Melody," and never a glitch in the preparation. I have to tell my guests that I made it. They always just assume its created by a professional chef and ask me for his number. So there you have it. Know yourself before you decide to spend the money on this one. Definetely for the serious cook only. Master pastry chef Pierre Herme has created a delightful book filled with more than enough taste treats to satisfy even the most sated dessert gourmand. On first glance, each recipe appears difficult to construct; each contains a multiple amount of steps most of which require parchment paper and pastry bag utilization--not the standards of most amateur bakers. Not worth the fuss? Au contraire! Pierre's ultimate products are fabulous--the tastes and textures meld together to form not only a tasty finish to any meal, but create perfect confections that are also a feast for the eyes. I wish desserts from this book were on the menus of some of the better restaurants I've eaten in. I've tried out a number of them on family and friends to rave reviews. 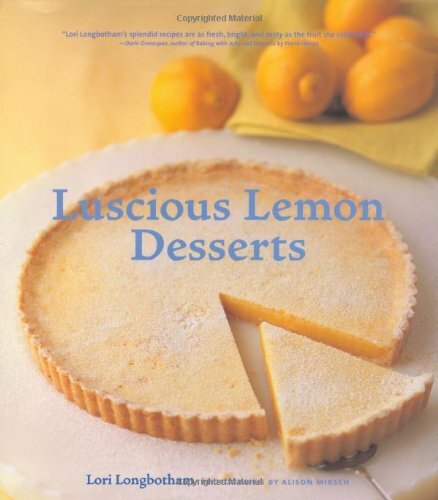 Nobody doesn't like lemon, and this book shows how many ways it can make a great dessert. Some of the recipes are also somple, such as the Lemon-Caramel Pots de Creme. The Perfect Lemon Tart, artfully pictured on the book's cover, is the best version I've tasted of one of my favorite desserts. I'm still working my way through the book and can't wait to try the Chocolate Ganache Tart with Lots of Lemon, though my son is lobbying for Lemonade Fruit Jewel Popsicles. If you're not already a lemon lover, this book will give you new respect for this often underappreciated flavor. So many great desserts for LEMON LOVERS!!! My father, the ULTIMATE LEMON LOVER, was the inspiration for me to buy this book. I wanted to make him some special treats for his birthday, so I thought this would be perfect. I was NOT disappointed. Every recipe in this book is a lemon lover's dream. I made him the classic lemon bars and the lemon sugar cookies and he was in lemon heaven. I myself love the candied lemon rind and the lemon madelines. I'm still eager to try some more of the recipes when time allows. She gives great instructions and the pictures are nice. I highly reccommend this book!!! Received this for Mother's Day, and I have to admit it is one of the best cookbooks I own. Only prepared three desserts up to now, but all were well documented and very easy to make. Usually my cookbooks just end up on the shelf, but this is always being looked at and if I wasn't always on a permanent diet, I would have cooked many more of the fantastic desserts. I am a professional pastry chef and I love this book. I actually use the lemon shortbread for one of my desserts as well as the madeleine recipe. This is a great book for any bakers library. Let's do the pluses first. The book is beautiful, the layout-- lots of yellow-- is inviting, the photographs of these desserts make your want to cook them, and there are a lot of unusual recipes here. The minus: Last night I baked the lemon tart photographed on the front cover. The recipe is easy enough to qualify for my "quick and easy dessert recipes for the lazy cook." The problem is that Ms. Longbotham doesn't give enough instructions. Please tell me what the following statement means: " . . . and continue stirring until the dough begins to come together when a small bit is pressed between your fingers." I don't have the foggiest notion what she means here. I do know the consistency dough must have before you attempt to bake it so I figured out what to do on my own. And I suppose any fool could look at the photograph and tell that at some point you've got to get the tart out of the pan, but Ms. Longbotham doesn't tell you that. I went to another dessert cookbook and found pages of instructions on tart baking so I found out-- among other things-- that I could use the baking sheet like a huge spatula for sliding the completed and cooled tart onto a serving plate. But shouldn't that information have been here? I think so. Fans of high-end chocolate delights have long flocked to Robert Linxe's La Maison du Chocolat, a Paris-based confection-boutique "chain." La Maison du Chocolat, blissfully photo-illustrated in color, offers readers an introduction to Linxe's art and craft, plus 65 recipes for a wide range of treats, from candies and cakes to creams, mousses, souffl&eacute;s, and more. Though not difficult in themselves, the recipes are sometimes flawed (baking sheets, for example, are called for when baking pans are required, and dimensions for these are frequently omitted). Experienced bakers can fill in the blanks, but the rest of us will probably do best to enjoy the book as a record of one man's passion and its mouthwatering realization. I have been wanting this book for a while, but I waited a long time (too long) to buy it. This book is not only visually beautiful, it has some interesting information about chocolate in general, as well as some really intriguing recipes - some of them are on a professional level and are quite complex, but a lot of them are pretty simple and sound very nice. Even if you never make a recipe out of this book, I don't think that you will regret buying it. Chocolate is one of the four basic food groups. The others are, some say, wine and garlic, with furious debate over the fourth. Linxe has, over a lifetime, created a veritable ode to chocolate in many forms, and his five stores in Paris are well worth the visit (you will come out much poorer except in chocolate). His New York jewel, which has moved slightly downtown from the East 70s to Madison Avenue, is worth seeing and smelling close up--any chocolate lover will understand. The soul of Linxe's art with chocolate is captured in this magnificent book. The photographs alone are sinfully sensual. A baker friend says that the recipes are within her grasp if she only had the time, and the money, and could get all the ingredients conveniently. She and I both agreed, and this was pointed out by another reviewer, that the history and diversity of chocolate is a significant omission, but wanting more data on chocolate is perhaps greedy on our part and we should not sit around lazily on a chocolate high, with some decent pinot noir on the side, but get out and do our own research. For what it is, and not for what it omits, this is a great book. It makes one want to fly to Paris right this second, and there one can find all the other vital food groups as well. An absolutly gorgerous book. I think I am a little greedy in that I was expecting more from this book. I believe there are around 60 recipes. Some are divine, some were the standards found in many books and some I don't think were worth putting in(like chocolate dipped dried fruit). There are numerous lush pictures and poetic discriptions of candies made at La Maison Du Chocolat but no actual recipes or guidelines for candy making. Although I may sound critical, the book is truly beautiful and one can sense the author's passion for his art. The "cheese"cakes in this book are incredible. They are on-par with what you would order from a bakery. I looking forward to trying out the doughnut recipies. A nice feature: there are flags on some of the recipies for non-wheat desserts, for anyone who has wheat sensitivity. I would condsider this a must-have for any sweet-toothed vegan. Call me a sinner, but I can't stop eating these desserts. To begin: I love this book. Love, love, love. I do have one complaint, though. With 140 recipes, it's going to take me forever to try them all! Especially since I just want to keep making my favorits over and over again. Anyway, I could gush for hours about how great the recipes themselves are. [The Richer Than Fort Knox Cake was a huge hit at my husband's workplace. Everyone was shocked that 1) it wasn't from a bakery, and 2) it was 100% vegan. And I always love showing people that you don't deprive yourself of good things by making vegan choices.] But before I get carried away, I'd like to point how how much I love the organization of the book. Each recipe is divided into simple steps, and recipes are subdivided into sections--like the cake, the frosting, the garnish, etc. Also, Ms. Dieterly includes serving info, prep and baking time, and nutritional information, and also notes whether the recipe freezes well. And for those with wheat allergies, all of the wheat-free recipes are specifically marked as such. She has recipes for the following dessert categories: cookies and brownies; cakes and quick breads; Boston cream pies; pies and tarts; cheesecakes; puddings; donuts and candy; beverages and smoothies; and frostings, toppings, and crusts. Sadly, there are no vegan ice cream recipes. But I'll be so busy eating brownies and cheesecakes and donuts, I won't have time for ice cream anyway! The ingredients she uses should be familiar to most vegan cooks, and I don't have any trouble finding them. However, if you're new to vegan baking or live in an area where it's difficult to find, for example, silken tofu, then the author provides an introduction to the vegan ingredients you'll need, as well as a list of mail-order companies from which you can purchase the necessary ingredients. And if you're still searching, a quick Google search can reveal numerous places on-line to purchase vegan foodstuffs. Finally, I'd just like to comment on the writing style. I really enjoy reading the author's recipe descriptions and other comments. She's clear and informative, but also sounds like a friend who's hanging out in your kitchen while you're baking. All in all, this is a great cookbook. Buy it and amaze your friends with your delicious--and compassionate--desserts. 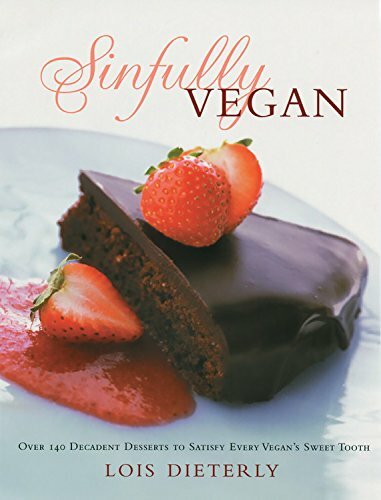 Sinfully Vegan: 140 Decadent Desserts To Satisfy Every Vegan's Sweet Tooth offers vegetarians a very highly recommended culinary wealth of simply wonderful desserts that are guaranteed to be completely dairy-free and cholesterol-free. There are even a variety of wheat-free options for those whose personal diets must exclude the use of wheat flour. 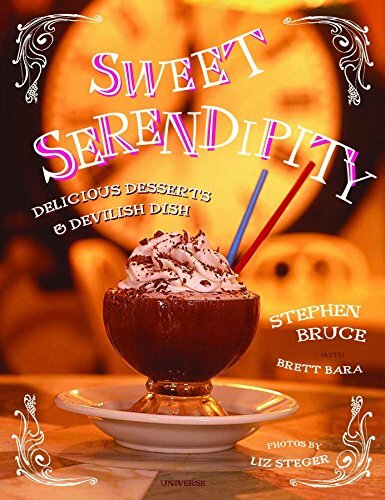 In addition to such recipes as German Chocolate Cake; Triple-Chocolate Boston Cream Pie; Swirled Raspberry Cheesecake; and Jelly-Filled Donuts, Sinfully Vegan also offers helpful pantry-stocking tips, creative recipe variations, and a nutritional breakdown for each recipe cited. Excellent, easy-to-use cookbook, vegan or not! For me, making desserts has been the biggest vegan challenge. Every dessert I have made from this book has been 1) easy and 2) good. The ingredients are standard, and the directions are simple and clear. The desserts taste and look like their non-vegan counterparts. Also, there is a wide variety of dessert types.